Girlguiding is committed to making reasonable adjustments to support disabled young members and adult volunteers so that they have access to the same opportunities and experiences as non-disabled members and volunteers. All disabled members should have access to the same broad and balanced programme and experiences as their peers. Guidance has been produced to support our volunteers in making reasonable adjustments to ensure membership is available to all adults and girls. This can be found in our information on including members with additional needs. 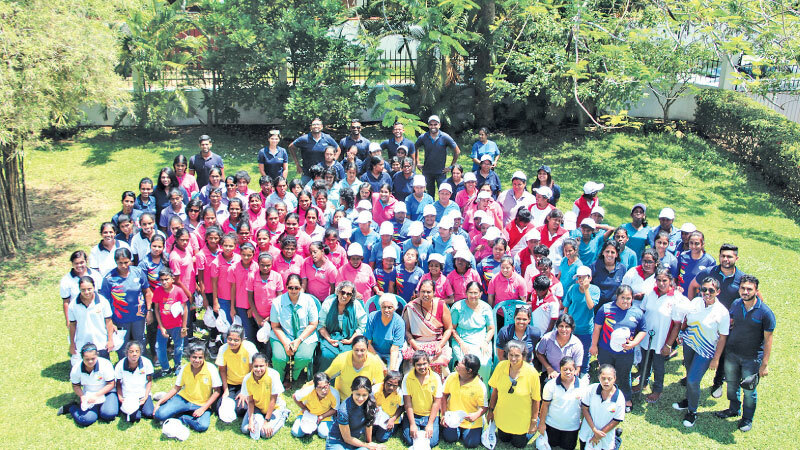 Cinnamon Hotels & Resorts recently celebrated Children’s Day 2018 by hosting a special edutainment event for ninety-six differently-abled girl guides from across Sri Lanka together with key properties Hikka Tranz by Cinnamon and Cinnamon Bey Beruwala. Conducted in collaboration with the Sri Lanka Girl Guides Association (SLGGA), the fun-filled Children’s Day programme opened its doors to ninety-six girls from 12 different institutions based in several locations across Sri Lanka, including Kandy, Nuwara Eliya, Hikkaduwa, Colombo and Ratmalana. Held at the Blu Fox Hotel in Hikkaduwa, the event featured an exciting line-up of both recreational activities and learning experiences. Having commemorated Children’s Day by partnering with the Maharagama National Cancer Hospital to raise funds for kids in need over the past years, this year, Cinnamon Hotels & Resorts decided to shift its focus towards supporting the needs of differently-abled youth. One of the most prominent highlights of the day-long event was a full-on culinary experience, where the guides were given the chance to prepare their own snacks alongside top Cinnamon chefs, whilst learning and trying out an array of fun and interesting cooking techniques. Another segment of the event was dedicated to a colourful variety of singing and dancing acts which were performed by themselves, representing their respective institutes. The event was enlivened by nonstop music which was sponsored by DJ Lunatics whilst a colourful backdrop featuring the palm prints of the young participants helped brighten up the ambiance further. Also featured in the programme was an inspiring speech by a 20-year old girl with Down Syndrome, where she spoke about her memorable experience at the event, shared her story and expressed her passion for embarking on her dream career. Commenting on Cinnamon Hotels & Resorts taking the initiative to celebrate this year’s Children’s Day with differently-abled guides across the island, head of human resources of the resorts sector at Cinnamon Hotels & Resorts, Ishara Naufal stated: “We are delighted to have spent Children’s Day 2018 with these girls from all corners of the island, who needed additional support and assistance. We hope that we have been able to make a meaningful difference in the lives of these individuals who are an important part of our society. Despite improvements in health care and specialist facilities made available over the past decades, differently-abled children still face a host of challenges and often find it difficult to complete their education and establish a career path. At Cinnamon, we believe in championing inclusivity and equality for all, and are therefore committed to doing our part to ensure that these youth receive the same privileges and opportunities in their education and careers as every other child. We are passionate about encouraging these children to learn, grow and develop promising career paths, and we hope to guide and mentor those who aspire to join the hospitality industry. The Cinnamon Hotels & Resorts chain comprises 12 distinct hotels and resorts located in key areas across Sri Lanka and the Maldives. The brand embodies a passion for inspired living and promises holistic and enhanced experiences that are tailor-made to suit the specific interests of travellers. The Cinnamon brand focuses on delivering memorable holidays and getaways that deliver exceptional standards of service whilst showcasing the warmth and vibrancy of contemporary Sri Lankan hospitality.